With Apple's management changes announced earlier this week, several current executives have seen expansions of their responsibilities. 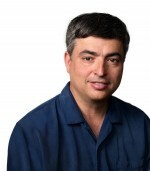 Among those is Eddy Cue, Apple's senior vice president for Internet Software and Services, who is seeing Siri and Maps added to his portfolio. Cue's responsibilities have grown substantially throughout during his 23 years at Apple, from the company's online store to the iTunes Store to the App Store. More recently, Cue has added the iBookstore, iCloud, and iAd to his responsibilities, and just over a year ago he was promoted to the senior executive team. CNET today published a profile of Cue, offering an interesting glimpse of the executive who has reportedly played a crucial role in holding Apple's content services together in a landscape that involves frequently contentious negotiations with third parties. The entire lengthy profile is a solid background on the challenges faced by Cue and how his calm temperament served as a bridge between Steve Jobs and media executives involved in negotiations. "If you were going to be successful with Steve you couldn't compete for oxygen," [former Warner Music executive Paul] Vidich said. "You had to allow him to be him and shine in the greater glory that Steve sought for himself, and Eddy had this calm demeanor. He never said: 'Hey look at me,' to anyone. He just did a great job." Cue certainly remains busy, not only maintaining the ever-increasing stable of licensing agreements with content providers across music, movies, books, and more, but also taking on the more recent challenges of building out iCloud and now fixing Siri and Maps. Ive got to agree with you. Ive never seen such terrible puns in my life. am i missing how transforming mobileme into icloud (as it is now) is some work of genius? Kind of off topic, but I've never understood the hyphenation of people whose parents are from "ethnic" countries. Nobody is ever described as a British-American. Or even an Australian-American. Looking forward to Eddy's development of maps and the new radio service! The deals worked out so well, they gave him more Jobs!